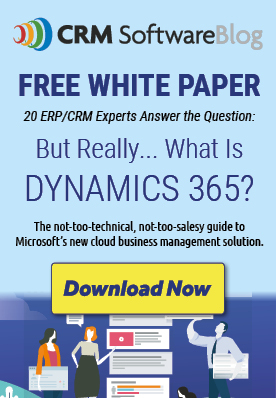 Use this information to determine which combination of Dynamics 365 License types are right for your organization. Your Dynamics 365/CRM partner can provide more guidance during the formal discovery and quoting process of full license requirements, benefits and options. Dynamics 365 has simplified licensing. The primary licensing is by named user subscription. There are two user types. One user type is a “full user” and the other is an "additional user” which includes "team members". Full users: are the users whose work requires use of the feature rich business applications functionality. Examples of full users are sales people, customer service representatives, finance employees, controllers and supply chain managers. These users have also been referred to in the past as Professional users or Power Users. These full users are licensed with a Dynamics 365 Plan, or Dynamics 365 Application subscription. Additional users: often represent a large percentage of users in an organization and may consume data or reports from line of business systems, complete light tasks like time or expense entry and HR record updates or be heavier users of the system, but not require full user capabilities. These additional users are licensed with Dynamics 365 Team Members or Dynamics 365 Operations – Activity SL for Dynamics 365 for Talent and Dynamics 365 for Retail subscriptions. Team Member users are “light users” that may read/review data or reports from line of business systems and who complete light tasks like time/expense entry and HR record updates. The price of the Team Members subscription for light users includes read access to any Dynamics 365 application data, portal, knowledge management, light task management, and PowerApps using Dynamics 365 data. Note: Plan, Application, and Team Members subscriptions can all be used within one account. The subscriptions are at the user level and having users with different needs is in fact the most likely scenario. Some users will benefit from Plan subscriptions, while others need just one application subscription, and many other users would benefit from Team Members subscriptions.